Rent villas and apartments in Lucija Area, Slovenia with swimming pools. Book affordable holiday rentals that are near a beach. A spacious house surrounded by mediterranean inspired grounds. The house is pleasantly decorated and has four ensuite bedrooms and is an ideal base for family holidays or vacations with friends. On the first floor of a beautiful house built in the Provencial style, is located a spacious apartment that has a beautiful panoramic view of the Gulf of Trieste. This apartment is located in Lucija, near Portoroz. Protoroz means 'port of roses'. The city is a major tourist resort on the Adriatic coast and is known for its well-groomed appearance. 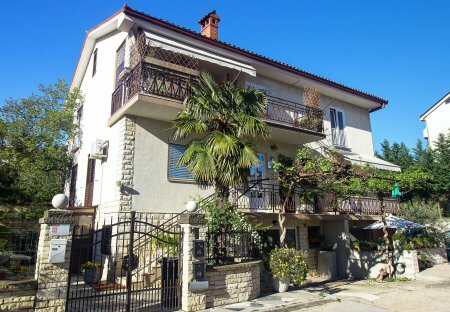 A nice and simply decorated holiday apartment in the ground floor in the village of Lucija not far from Portoroz. At a 15 minute walking distance you will find different sandy. 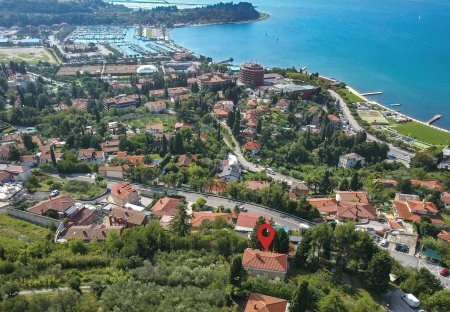 This comfortable and modernly equipped apartment is close to Marine Portorož and the sports tennis center. It is situated in a great location and all the contents are in the immediate vicinity.